How can I tell if I’ve been blocked by Messenger? HomeMessenger appHow can I tell if I’ve been blocked by Messenger? How can I tell if I’ve been blocked by Messenger? Looking for the guides on how to know or tell if you've been blocked by someone on Facebook Messenger? If your answer is yes, then this article got you covered. The profile icon in the messenger of the person that is blocking you will also no longer show the Facebook Messenger badge, but will only show a grey Facebook Logo, meaning you cannot contact them by their message app, or that they may no longer have Facebook Messenger app. Facebook users that have never activated Facebook Messenger on their mobile device, will have only the grey Facebook Logo on their profile picture that shows up in Messenger. 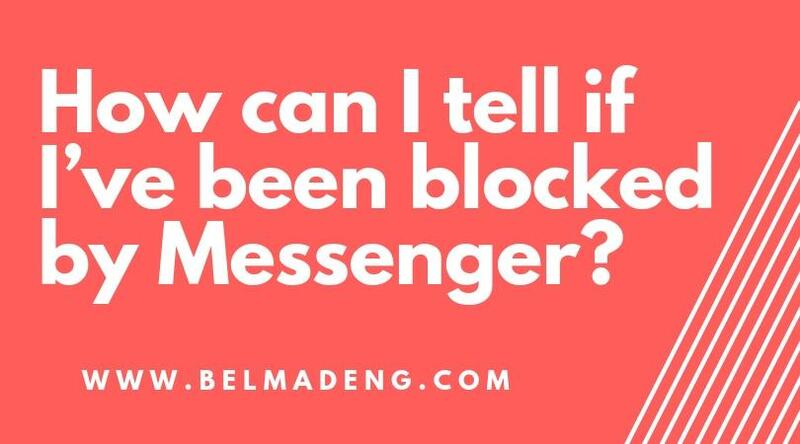 If you are blocked from contacting the other person through Facebook Messenger, you will not be able to text them, or audio or video call them, you will get a message saying they are not available to you right now. You might still be friends on Facebook, however, and you should be able to interact with them on Facebook by posting to their wall or by comments, but not for messaging.